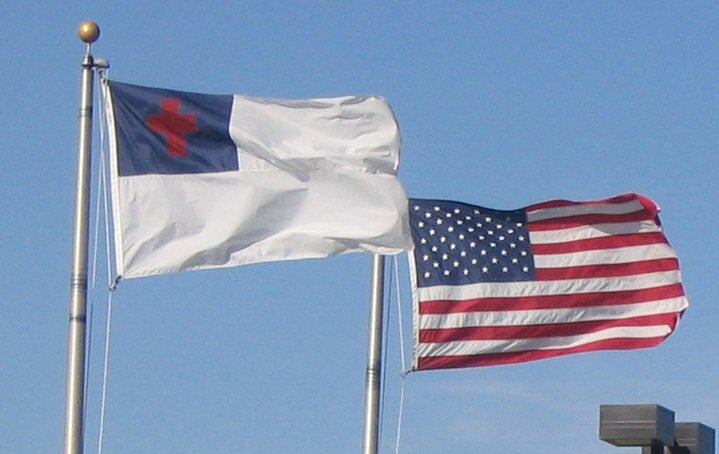 Christian nationalism—both gaining and losing ground? There is much talk about the growth of “Christian nationalism” even as surveys and journalists report the decline of “white Christian America,” but several papers presented at the late October meeting of the Society for the Scientific Study of Religion in Atlanta suggest that any such phenomenon is far from a monolithic or accelerating force in society. Sociologists Andrew Whitehead and Christopher Scheitle presented a paper showing that while Christian nationalism, which they define as a position linking the importance of being Christian to being American, had shown growth between 1996 and 2004, the subsequent period up to 2014 had seen decline in this ideology. Using data from the General Social Survey in 1996, 2004, and 2014, the researchers found that 30 percent of Americans held this position in 1996, while 48 percent did in 2004, but then the rate dropped back to 33 percent in 2014. They looked at other variables that seek to maintain boundaries for true Americans, such as the importance of speaking English, and did find that this sentiment followed the same episodic pattern. Whitehead and Scheitle argue that the role of patriotism and attachment to America was stronger in 2004, which was closer to 9/11, than in the earlier and later periods. Although they didn’t have data for the last two years, they speculated that these rates may be increasing again. Sunbirds and Midwesterners as the new Amish?